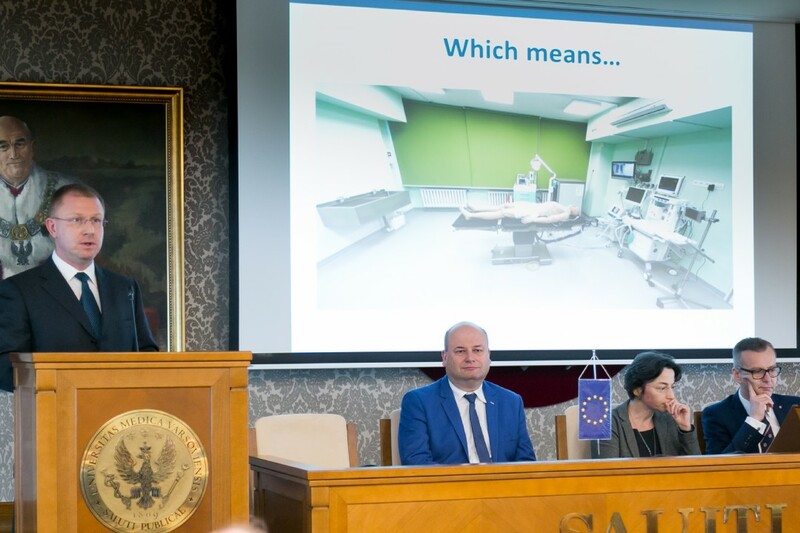 On April 13, 2018, the Medical University of Warsaw (MUW) and the European Investment Bank (EIB) signed a direct loan agreement to provide financing for the development of a state-of-the-art medical simulation center on MUW’s main campus. 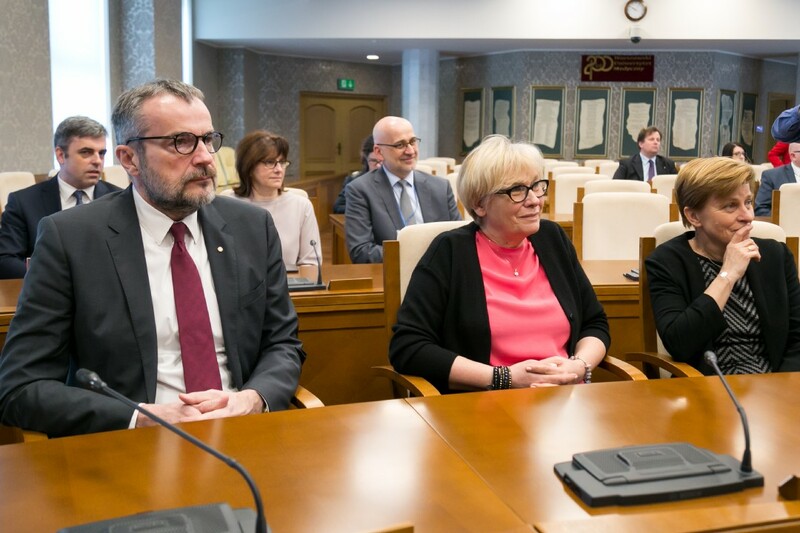 The agreement was signed by His Magnificence Prof. Mirosław Wielgoś, Rector of the Medical University of Warsaw and Ms. Sandrine Croset, Director of the EIB Baltic Sea and Northern Europe Department, and in the presence of the Undersecretary of State in the Ministry of Investment and Development, Mr. Witold Słowik. 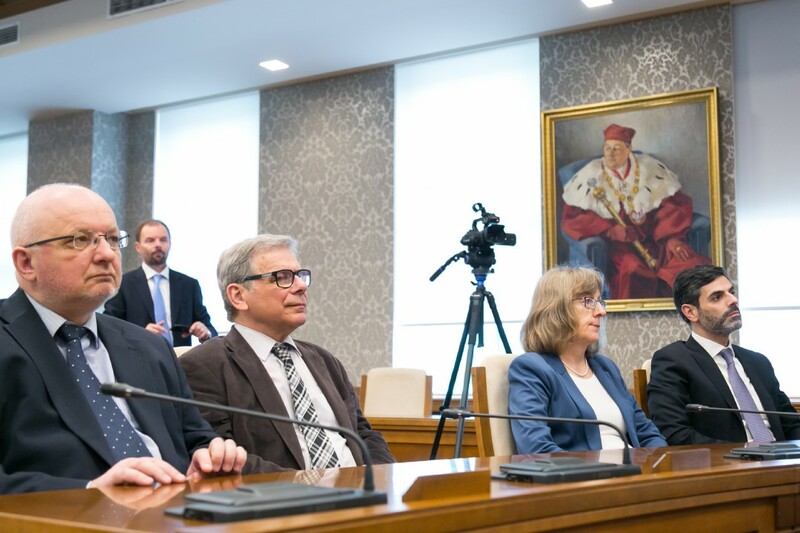 Also representing MUW were: Prof. Barbara Górnicka, Deputy Rector for Student Affairs and Education; Prof. Jadwiga Turło, Deputy Rector for Science and Technology Transfer; Prof. Wojciech Braksator, Deputy Rector for Clinical and Investment Affairs; Prof. Kazimierz Szopiński, Vice Dean of the Faculty of Medicine and Dentistry; Prof. Peter Wroczyński, Dean of the Faculty of Pharmacy; Ms. Małgorzata Rejnik, Chancellor, and Vice Chancellor, Ms. Dorota Gawrońska - Wojcik, as well as, the Head of the Second Department of Anesthesiology and Intensive Care, Dr. Gregory Niewiński; and, Dr. Marcin Kaczor, PhD., Project Manager of MUW’s new medical simulation center. 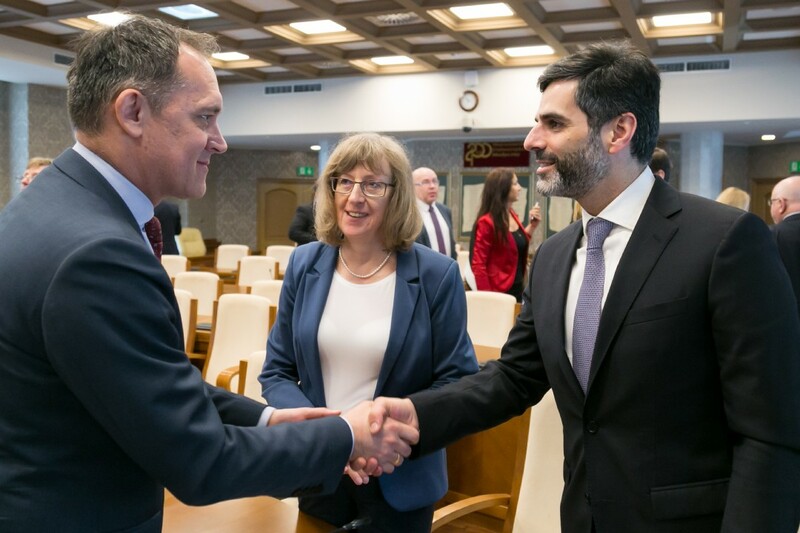 Accompanying Ms. Croset from the EIB were Vasco Amaral Cunha, Loan Officer at Poland and Baltic States Public Lending and Infrastructure of the Baltic Sea and Northern Europe Department and, Andrea Morawski, Senior Media Officer at EIB. 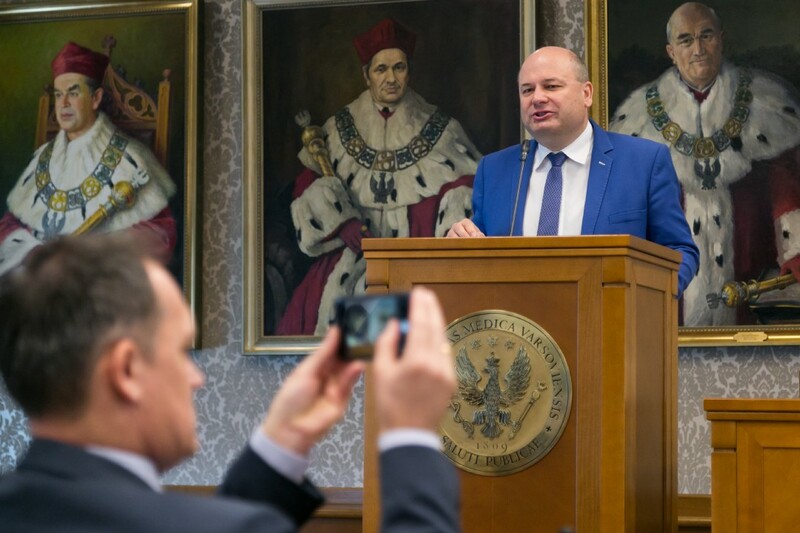 The Rector added, "I am convinced that the joint contribution of the Medical University of Warsaw and the European Investment Bank will result in the creation of a world class medical simulation center, which will serve our patients who are, after all, the benefactors of our training." 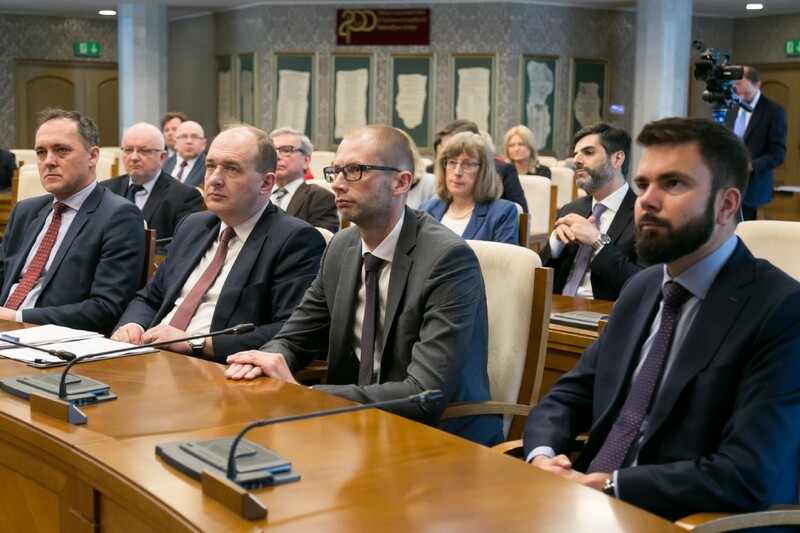 Mr. Kaczor talked about the advantages of MUW’s current medical simulation center, as well as, the need to build a modern medical simulation center that meets European and international standards. 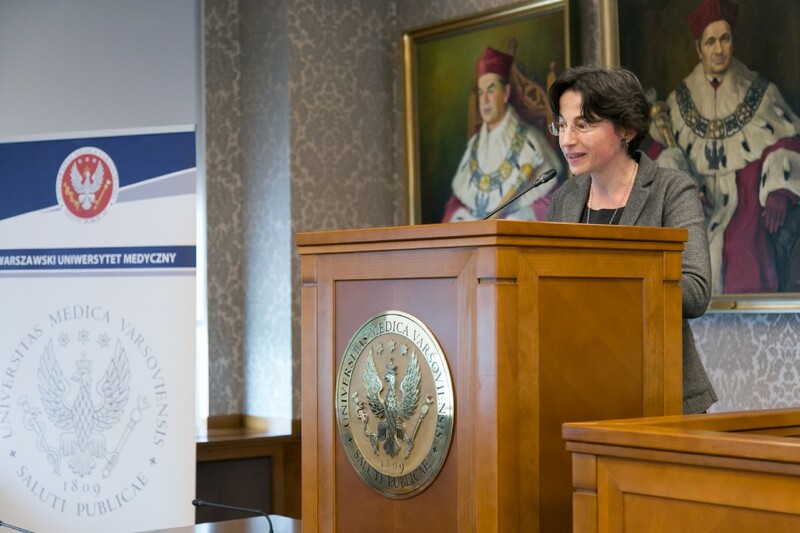 EIB support in the amount of PLN 100 million (about EUR 24 million) will also be invested in the thermo-modernisation of the Faculty of Pharmacy building and the refurbishment of the MUW’s building on Litewska street located in downtown Warsaw. 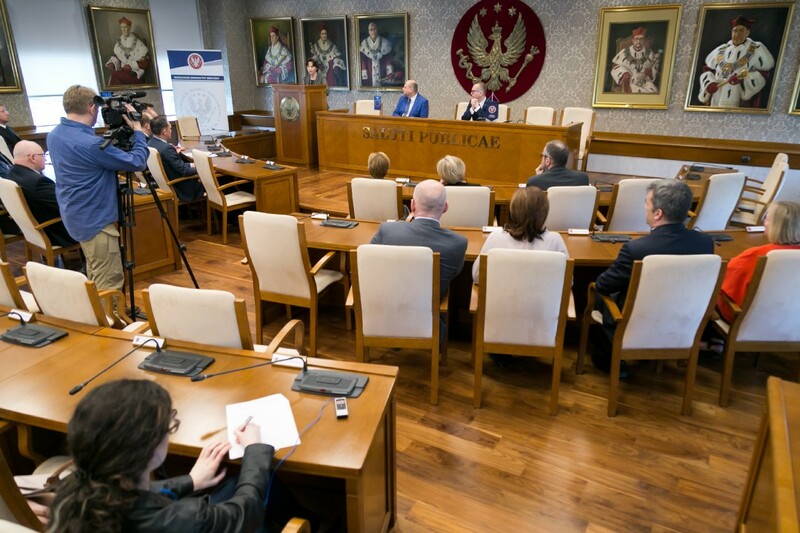 The Medical Simulation Center of the Medical University of Warsaw will be the largest facility of this type in Poland. The building will have medical simulation technology for the education and training in the fields of intensive therapy, otolaryngology, surgery, anesthesiology, gynecology and obstetrics. The building was designed by KVP Medic and will have a spiral shaped architecture with teaching, administrative and social zones.